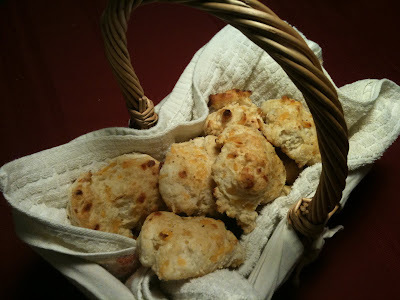 My husband dreams of Red Lobster Cheddar Bay Biscuits. Okay... not really but he loves them. Whenever RL is brought up all he can talk about is the biscuits. I dont even know if he can name anything else on the menu. (we rarely eat there) So I decided to surprise him and try to duplicate them at home. I found this recipe and tweeked it a bit by adding a little more cheese (at husbands request) I think I ate 6 out of the first batch! They rock! that sounds awesome.. i've never eaten at a RL before, but always hear people talking about those biscuits! I'll have to try this one when i get some bay seasoning.